Things we love: great people, wine, fun places, wine, hidden gems. Did we mention wine? As fate would have it one Saturday evening we found ourselves looking for something fun and different (and boozy) to do. 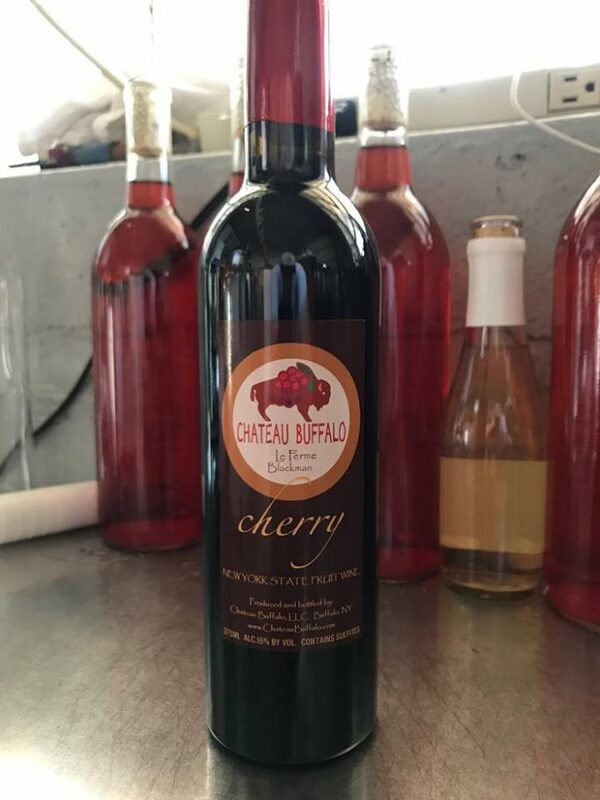 We stumbled across Chateau Buffalo, an urban winery located right in the historic Niagara Frontier Food Terminal across the street from the Clinton Bailey Market. An URBAN WINERY! Aka no driving to east Jahunga to get your wine on. Although that’s equally as fun in a different way… We needed no further convincing – the stars had aligned. If Chateau Buffalo sounds familiar to you it’s probably because we’re a teensy bit obsessed with them, particularly their one-of-a-kind-blow-your-mind 999 Broadway Red wine which is an insanely tasty loganberry-flavored wine. Just how insanely tasty is it? We’ve listed the 999 Broadway Red as one of The Best Buffalo Classics: Deconstructed, featured it as one of the 31 Provisions You Should Include in Your Holiday Spread, *and* it’s our number one priority every time we go to The Broadway Market (and we mean every time). Pulling into the Niagara Food Terminal we had no idea what to expect from our first visit to an urban winery. 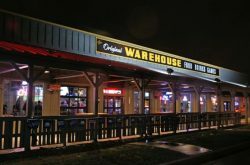 When you pull into the (huge) parking lot at the Niagara Food Terminal, Chateau Buffalo is located on the right side of the building and the entrance is towards the back. Pro-tip: Look for the large yellow sign that says CHATEAU BUFFALO and the neon open sign, then proceed to enter. Although it might not look like much on the outside, it’s like a Pup Named Scooby Doo’s dog house on the inside – the beautifully renovated 3,500 square-foot space dates back to the early 1930’s and is currently used for both retail sales and production. Woof. Chateau Buffalo proudly specializes in wines and craft ciders made with locally grown grapes and fruits with a full array of reds and whites sweet, dry, ice wine and even some seasonal creations. When we arrived there were hundreds of craft wines on display, art by local artists on the walls, gourmet food products on the shelves (think: vinegars, pickled beets, dills, sauces, jams, and honey), and people laughing together at the tasting table in the back. 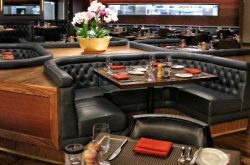 We didn’t make a reservation ahead of time (not required, good to do), but the couple that had just started their tasting invited us to sit down and join them, so join them we did. The people at Chateau Buffalo are extremely knowledgeable and passionate (and nice and funny and just overall great), and the intimate setting in their tasting room is a refreshing change of pace from most other wineries. 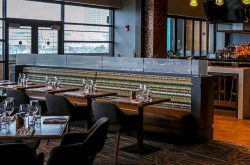 The staff here make you feel like you’re old friends catching up over drinks, and the personable conversation and cozy atmosphere made us feel right at home – there are no strangers at Chateau Buffalo. 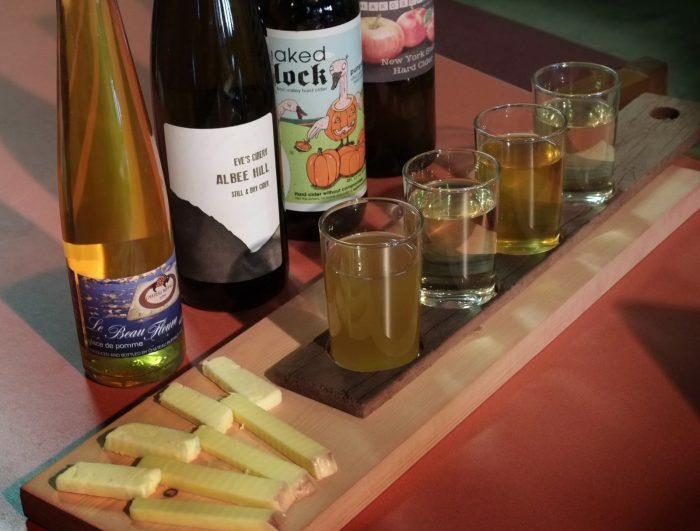 The tasting options were as follows on our visit: Wine & Craft Cider Tasting 5 for $5, Glass of Wine or Cider $5, or a free tasting with the purchase of any bottle of wine or cider. Heads up: the tastings here are generous (100 points to Gryffindor!). Knowing we would definitely be buying at least one bottle we went with the latter tasting option. If you’re already group-texting your friends with plans to head down to Chateau Buffalo, group wine-tasting events can be scheduled ahead of time by calling the store. You’re welcome. Our gracious Chateau Buffalo host proceeded to take us on our magical journey through the day’s cider and wine offerings. 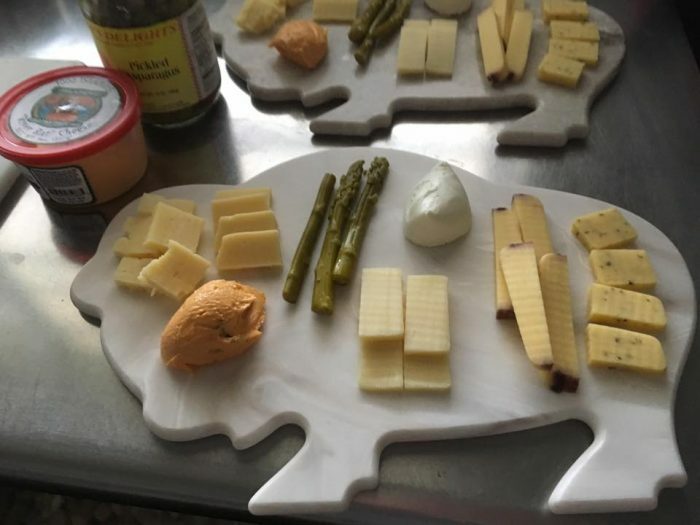 The couple next to us/our new BFF’s ordered an Artisan Cheese Board with 7 New York State produced cheeses ($12) which was enormous and looked ~so good~. Over the next two hours we all laughed and chatted about anything and everything under the sun while sampling lots of different wines and ciders all produced just a few feet away. Towards the end of our tasting the owner came out and talked to us about the processes used to create some of the wines and told us stories about others. Again, taking the whole experience to that next level. The wines and ciders here are extremely affordable, which meant that after our tasting we didn’t have to decide between which of the three wines we loved to take home. We bought 999 Broadway Red obv ($9.99), Mead (Grace Apiaries) ($19.99), and Dancing Buffalo Holiday Hop (limited release; price varies…this was a while ago…don’t judge). Pro tip: Visit often. Most wines and ciders here are prepared in small batches and the offerings change frequently…but the amazing hospitality is always the same. ALSO you should all be aware of Chateau Buffalo’s Wine Wanderer which is a fully-stocked traveling mini winery (read: van) that ventures between local Farmers Markets throughout spring and summer. It’s like Santa Claus during Christmas for adults, but like, better. 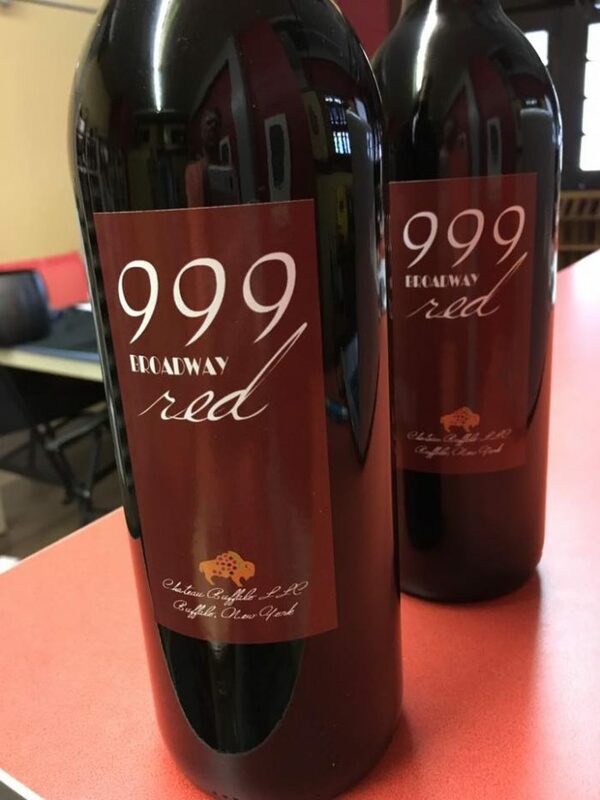 For more information about Chateau Buffalo (and to see at which local stores you can pick up our beloved 999 Broadway Red at) visit chateaubuffalo.com or check them out on Facebook.